As one of the first animals domesticated by humans (likely the first), pigeons have a long-standing relationship with people. Today, the pigeons we’re familiar with have become reliant on humans for sustenance; however, there are over 300 varieties of pigeons throughout the world. Dedicated to one partner their entire lives, pigeons dwell in flimsily constructed nests or within man-made structures, such as overpasses and building stoops. They tend to gather in bulk, presenting significant inconveniences for humans. Pigeons have grown into a nuisance bird, especially in urban and agricultural areas. Their droppings are copious and can be dangerous in highly trafficked locations. They can also carry fungi and bacteria harmful to human health. Additionally, other parasites travel on pigeons, such as fleas, ticks, mites and lice. 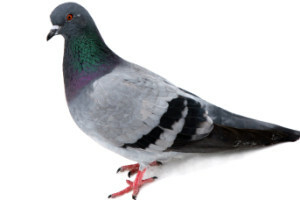 Pigeon prevention and control is something Strategic Industries is very familiar with in and around Atlanta. For the property owner’s part, it’s imperative to make roosting areas undesirable; fill in gaps and voids around the property that make ideal nesting spaces; and ensure that food sources and standing water are unavailable. 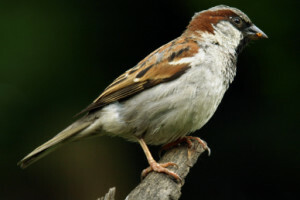 Sparrows are very adaptable birds, and although they are predominately, and by nature, consumers of grain, they have developed the ability to feed off of the refuse of humans – from garbage cans, yard trimmings and urban debris. They nest by filling small holes and gaps with dried roughage, such as pine straw, grass and small twigs. Nests are lines with softer material, such as string, fabric pieces and feathers. When on the ground, sparrows hop, as opposed to walking, and they have a nervous appearance, twitching and flicking their tails frequently. Because of their eating and roosting habits, your best prevention method is to keep trash cans secured; openings and voids around the property (such as those under eaves and porches) blocked off; and to be mindful of nests in nearby trees and bushes. European Starlings have adapted to a diverse diet, but they prefer to dine on insects and invertebrates, such as worms. For this reason, you’ll find them taking advantage of fields, freshly mowed lawns and parks. European Starlings are seen as aggressive birds, fiercely defending their mates, their foraging grounds and their carefully constructed nests. Like sparrows, they fill small spaces with roughage that is then lined with softer materials, and during the incubation period, European Starlings use fresh, green material to control the temperature within a nest. 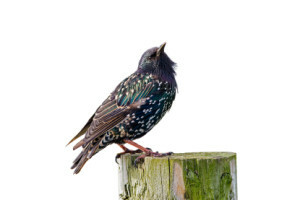 European Starlings are fast moving birds, and they cleverly place their nests in areas difficult to remove, such as high wires. Because they are so territorial, we recommend leaving them alone and contacting a professional for removal and further prevention.